From time to time, the library receives a question that is best answered not by a search but by human expertise. These are the questions that are both broad and subjective: what are the essential books in a personal philatelic library? what is the best book for a new collector? To come up with a short list of essential books for a personal philatelic library, I asked the APS and APRL staff, as well as readers of The American Philatelist, for their top picks. The following list is a compilation of their responses. 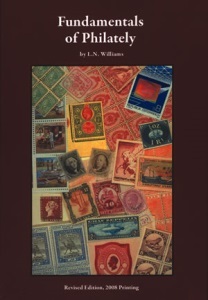 First published in article format in the AP in the 1950s and revised several times in the following decades, this is still a go-to reference for stamp collecting. At 862 pages, it is a hefty tome, but one philatelists can turn to again and again. The book gives a short history of stamp collecting, then delves into paper, watermarks, design and production, printing processes, inks and color, gum, and separation. Throughout, the author defines terms from the basic to those even advanced collectors might scratch their heads over (“Mechanical Mezzotint” or “Hectograph,” for example). Like Fundamentals, the Encyclopedia explains the history and production of stamps and defines key terms, but with a focus on the U.S. 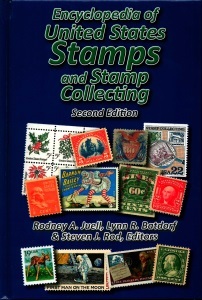 In addition, helpful for a U.S. collector, the first part of the book includes sections on the major stamp issues and periods, beginning with stampless covers and postmasters’ provisionals through 21st-century issues, and including federal and state revenues, postal stationery, carriers and locals, and more. Each section includes color illustrations and resources to consult for more information. At 392 pages, this paperback is substantial but takes up about half the space on your bookshelf or in your briefcase that each of the previous two titles do. It also takes a slightly different approach, with sections on the basics of stamp collecting, how to obtain stamps, and how to organize and store them. The section headings may be more approachable for the true novice, with plain-language titles like, “Why does my stamp have a lot of holes in it?” for the section on perfins. 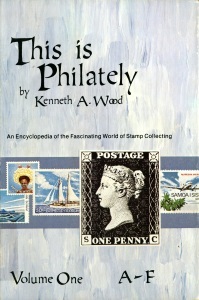 The contents are primarily from the author’s Refresher Course column in Linn’s Stamp News. While the book is organized with a beginner in mind, the index makes it equally useful as a reference for returning collectors or those looking to expand into new areas. 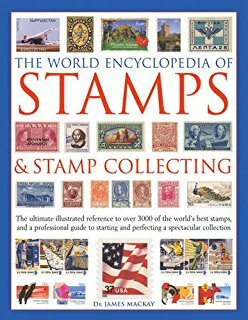 This three-volume hardcover set is subtitled “An Encyclopedia of the Fascinating World of Stamp Collecting.” Instead of the narrative approach of the first three titles, Wood’s book takes an encyclopedic approach, with brief entries arranged alphabetically. The entries include not only philatelic terms (“Cancelation, Fancy”) but also geographic (“Caroline Islands”) and organizational (“Canadian Bank Note Company”). This small, spiral-bound book can be kept easily near a collector’s desk or tucked in a bag. It serves a very specific purpose: to help a collector identify the country of origin of a stamp based on the words printed on the stamp. For example, if you find a stamp overprinted “G.P.E.” you can look up the abbreviation in this book to discover that your stamp is from Guadaloupe, a French colony. Tables in the back of the book provide help for reading other alphabets: Arabic, Chinese, Greek, Hebrew, and Russian. We all know that collecting stamps can improve your knowledge of geography, and the pages of this magazine demonstrate that philatelists are often interested in the history of the countries they collect beyond the postal system. The Stamp Atlas provides that background, from large areas of the world to specific stamp-issuing entities. It includes color maps, but also narratives, illustrations, and photographs, focusing on postal systems and postage stamps, but including plenty of contextual information. 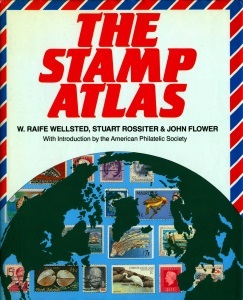 This glossy book, with numerous color illustrations throughout, includes two major sections: A Guide to Collecting Stamps, and The World Directory of Stamps. 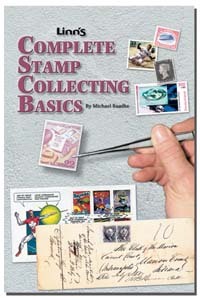 The first section provides a summary of the different types of postage stamps and tips for starting a collection. The second section goes around the world by region, giving some history and showing some of the stamps produced in that region. For example, the section on Eastern Scandinavia includes brief descriptions of the countries and their stamps, as well as call-outs on specific topics (master engraver Czeslaw Slania, Vikings in Stamps). This book can be a useful reference for the philatelist, as well as an attractive coffee table book for explaining the hobby to non-collectors. 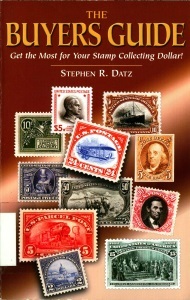 The Buyers Guide: Get the Most for Your Stamp Collecting Dollar (2nd edition) by Stephen R. Datz, published 2000 by General Philatelic Corporation. 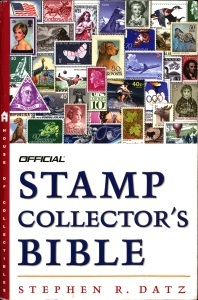 The Official Stamp Collector’s Bible by Stephen R. Datz, published 2003 by House of Collectibles. 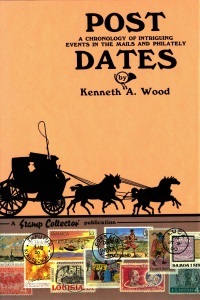 Post Dates: A Chronology of Intriguing Events in the Mails and Philately by Kenneth A. Wood, published 1985 by Van Dahl Publications. While not “essential,” this book may help you enjoy your own collection more. As member John Blakemore writes, it is “full of interesting surprises.” You might not have a rare gem like the one-cent magenta in your collection, but you might have the first one of something!